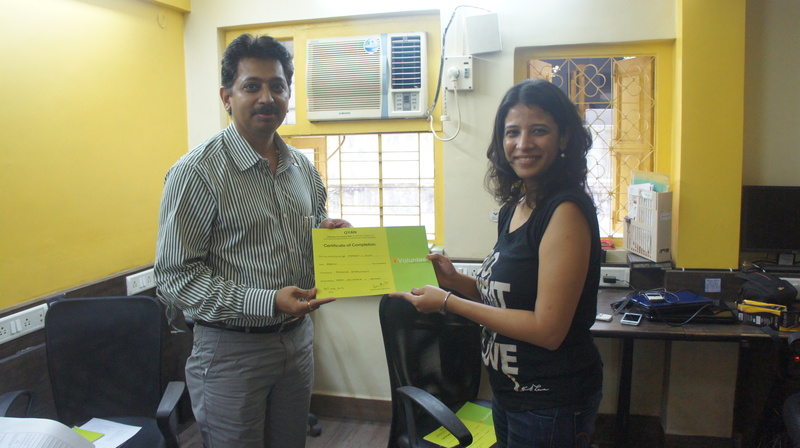 Volunteer ‘Surbhi Srivastava’ has been volunteering with iVolunteer since over a year now. Her volunteering includes teaching children at Ashadeep Association. She has also managed the volunteering team effectively by scheduling volunteering assignments for her fellow volunteers at Ashadeep Association. Surbhi brings with her over 10 years of experience in various HR functions and has worked with Vedanta industries, Infosys, Idea cellular in the past. She is a HR business partner with Cadbury India Ltd currently. She conducted a GYAN session on Nov 30th on the topic ‘Reducing recruitment cost by using effective employee retention strategies’. At the session Surbhi detailed the life cycle of an employee, listing out various approaches and methods for engaging employees effectively. Balancing new recruitment and employee attrition in the non-profit sphere was also discussed at length. The six participants from four NGOs who attended the session were an enthusiastic group and were able to do full justice to the personalised attention and space for discussion that they received. – Employee engagement starts from before recruitment and continues till after the employee leaves the organisation. – Defining the objective for the engagement strategy helps in implementing an effective employee engagement program. – The onus of employee retention/ engagement lies equally on the Line manager and HR managers. – A Potential v/s Performance matrix is the best tool for employee management. Kruti Mhatre, one of the participants said “Very good session. The speaker was very well chosen and was able to give examples. Though the trainer was not from the sector, however she could very well relate to the actual challenges of non-profits”. We are thankful to the trainer and the participants and sincerely hope that the learning would be effectively utilised in the work. Next Post An experience to remember !! !